Crypto Token ICOs (Initial Coin Offerings) are not slowing down and if you need to be able to get a better understanding on the ones that are more interesting and seem more promising, then you need a resource to help you get a better understanding and have a handy calendar when and what is launching and how long it will be available. 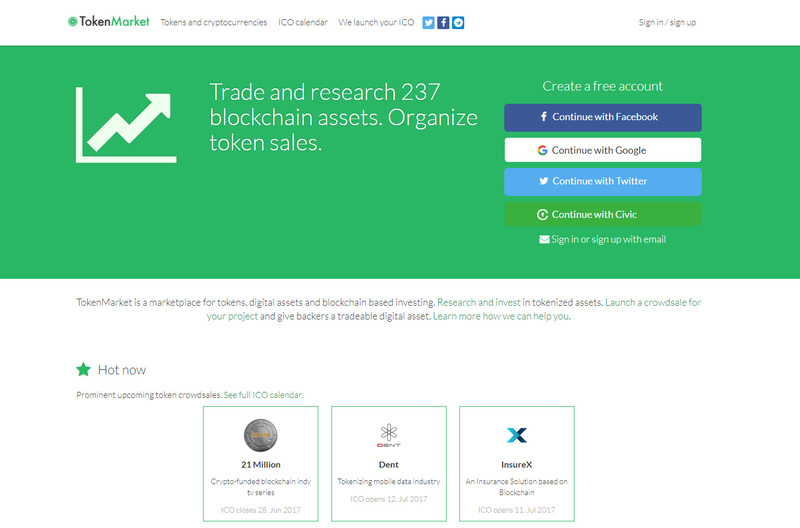 One such service that we find useful is TokenMarket as it provides information for tokens and crypto currencies launching ICOs, they also have a calendar to help you keep track what to expect and when. Of course you still need to do a proper research in any ICO that you might be interested in, read the Whitepaper, check the Roadmap, see if there is actually something already available to as a products or service (even a prototype or alpha version) and so on. Just like with crypto currencies the advice to not invest more than you can afford to loose in ICO tokens is even more on the spot.